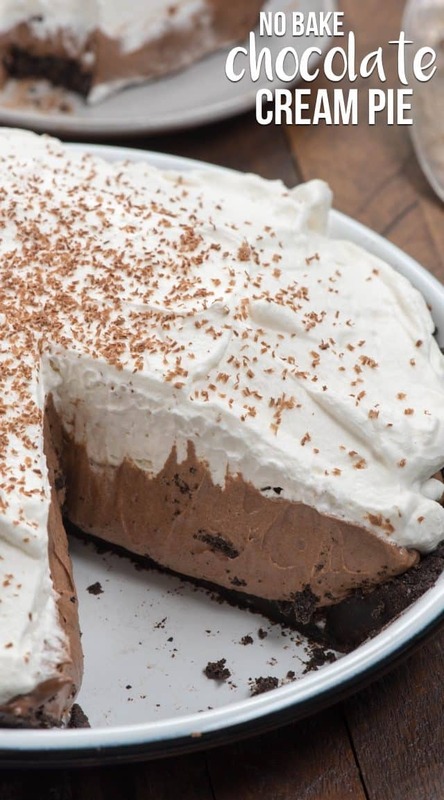 This is the BEST No Bake Chocolate Cream Pie recipe! An Oreo crust is filled with a thick eggless chocolate filling and topped with whipped cream! I’ve gotta say, Chocolate Cream Pie is one of my weaknesses. It’s rich and silky and creamy and bite after bite goes down SO easily. Good luck just having one slice! Ever since my first blogging pi day, I’ve looked forward to March 14 every year so I can post a new pie in tribute. I think and think and plan and wonder: what should I make for pi day this year? WWAD: what would Albert (Einstein) do? 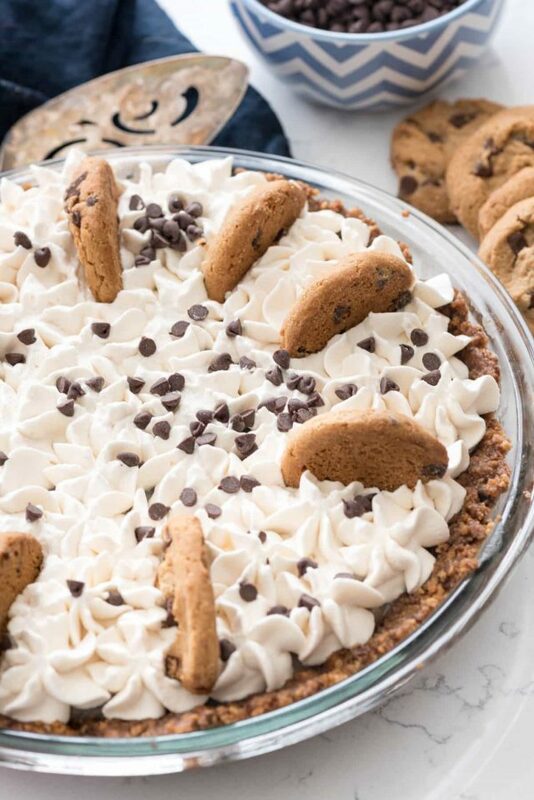 In the past I’ve made Twix Pie, Peanut Butter Chocolate Cream Pie, Coconut Kiss Brownie Pies, Carrot Cake Pie, a Candy Bar Brownie Pie, and now this NO BAKE Chocolate Cream Pie. 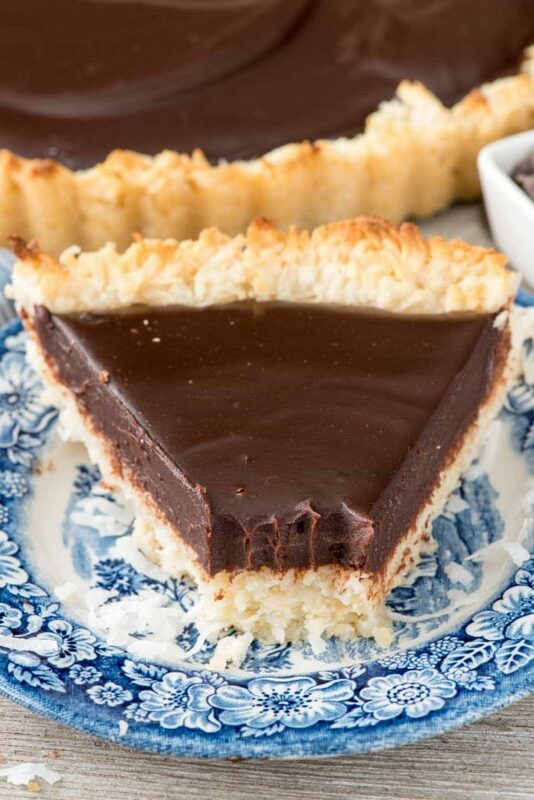 I gotta say, I think no-bake pies are my favorite and this chocolate cream version is in my Top 5 pies of all time. 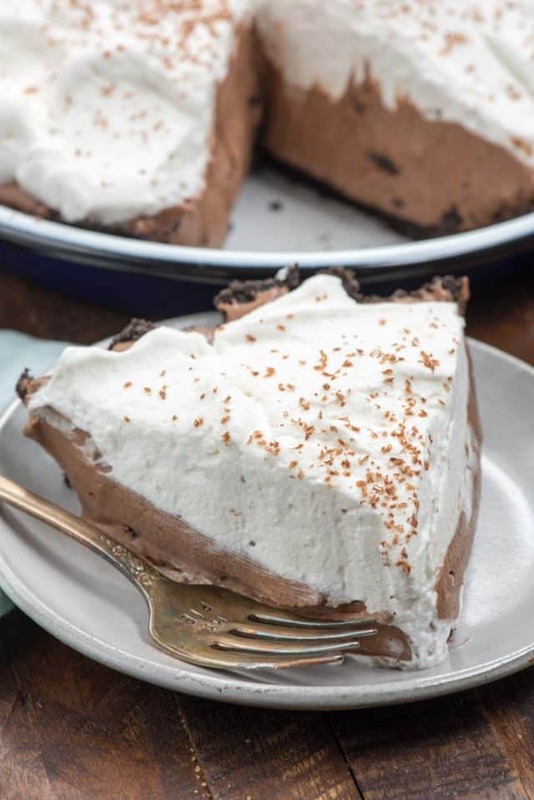 With the rich chocolate filling and Oreo cookie crust, this pie is like a cream pie married a French Silk Pie, but it’s eggless, easy, and takes about 10 minutes to make. If you’re looking for a Pie to celebrate Pi tomorrow, this is IT! Just look at that filling…it’s dreamy isn’t it? I literally could have shoved my face in it but I was way more civilized: I ate it with a fork straight from the pan. Who needs to dirty a plate? I’d eat the French Silk pie, filling first, then indulge on the pastry crust. I loved the rich and chocolatey flavor of that filling and how the light whipped cream on top would complement it. I never liked chocolate cream pie made with pudding, so the mousse-like filling at Baker’s Square was perfect for me. I wanted to make a filling without eggs. 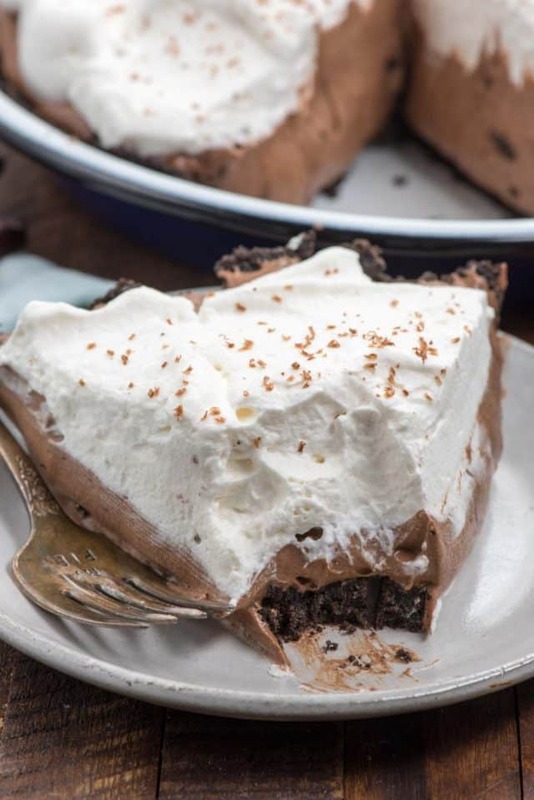 THIS Chocolate Cream Pie Recipe is the best of both worlds: it tastes akin to French Silk but is easy to make with no strange ingredients. It comes together in minutes – without pudding mix! It’s a Pi Day Miracle, really. This No Bake Chocolate Cream Pie with Oreo crust was too hard to resist! The thick chocolate layer and fresh whipped cream makes this the perfect pie to serve when you’re craving chocolate! Did I mention it only has 6 ingredients (7, if you’re making your crust from scratch). And it only takes about 10 minutes to put together? Serve this alongside pizza for pi day and your family will thank you! This recipe starts with my Oreo Crust. Feel free to use one you buy at the store, or make mine. Or, if you want a pastry crust, pre-bake my all butter crust recipe and use it instead. The chocolate filling isn’t pudding: it’s a combination of melted unsweetened chocolate and sweetened condensed milk. Buy a good quality chocolate (from the baking aisle). My favorite baking chocolate is either Ghiradelli or Baker’s. Use a regular sweetened condensed milk (generic is fine). Pick up a pint of heavy whipping cream – you’re going to make a fresh homemade whipped cream for this pie. Half of it gets folded into the chocolate mixture to give it the fluff and the other half goes on top. I like to top this pie with chocolate shavings, but you could also dust it with cocoa or use mini chocolate chips. Do you like the pie plate I used? I have to share: it’s such a pretty and versatile one. It came from Barn Light Electric and is the enamelware pie plate. The pie sliced easy and popped right out, plus they come in pretty colors. Full disclosure: they sent me a pie plate so I could send them some photos of my pie for their site, but didn’t pay me or even ask for a link to them. I just really love the plates and plan to buy several more! Chop chocolate and place in a medium-sized microwave-safe bowl. Heat on 50% power in the microwave in 30-second increments, stirring between each, until melted and smooth. Stir sweetened condensed milk into chocolate. Set aside. Place heavy whipping cream in the bowl of a stand mixer (or a large bowl if using a hand mixer). Beat until stiff peaks (whipped cream) forms, slowly adding powdered sugar and vanilla during mixing. Carefully fold half of the whipped cream mixture into the chocolate mixture. Place in prepared pan. Top with remaining whipped cream. Shave extra chocolate on top, for garnish, optional. Chill pie at least 2 hours before slicing and serving. Store loosely covered in refrigerator. Check out the The Complete List of No Bake Pies! Celebrating Pi Day? 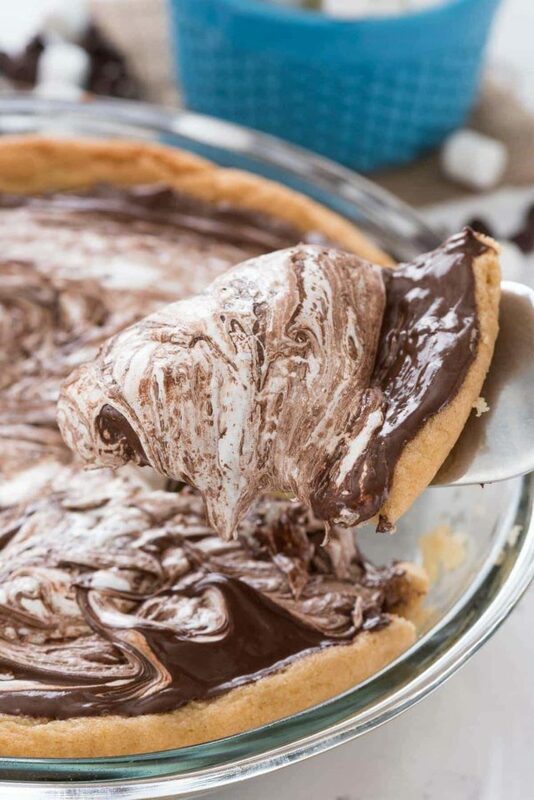 How about these pies: a No Bake Nutella Pie that looks like heaven, a No Bake Chocolate Cheesecake Pie for you cheesecake lovers, or my favorite, Julianne’s No Bake Key Lime Mousse Pie! Did you make any changes or substitutions? Often that is the culprit. I’ve never had this pie not set before. Did you use anything low-fat?